After winning their last three games, Arsenal go into a tough game today against an Everton side needing to get back to winning ways following their loss to West Ham last weekend. The Gunners had a tough start to the season with games against Chelsea and Manchester City but have finally started to hit some form and continued that with a win in the first game of their Europa League campaign on Thursday night. Unai Emery made eight changes to his side during the week but according to injury data analyst, Ben Dinnery , there are only three major absentees from the Arsenal squad. According to Dinnery, Ramsey and Torreira both trained with the squad today while Henrikh Mkhitaryan remains a major doubt for the game. He also confirmed that Sead Kolasinac and Carl Jenkinson returned to the main group. After a solid start to the season, Mkhitaryan picked up an ankle injury following Thursday night’s Europa league game despite getting through the full 90 minutes and looks set to miss today’s game. 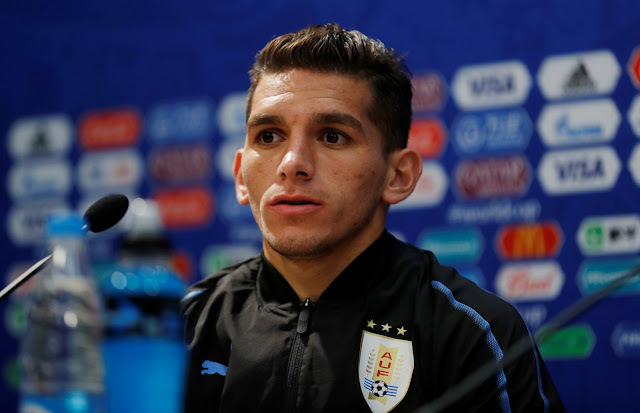 Arsenal’s new signing, Torreira finished the game as a major doubt and finished Thursday’s game with an icepack strapped to his knee. The fans have been calling for the Uruguayan to start and with him injury free, he could well make his first Premier League start today. Unfortunately, Emery is still without Kolasinac and Maitland-Niles, which puts even more strain on Nacho Monreal to hold down the spot. So Arsenal fans, what do you think? Let us know below!